Flames Rising is an online resource for fans of Horror and Dark Fantasy entertainment. This horror fanzine offers reviews of Games, Fiction, Movies and more ranging from Top-Selling authors to the coolest Small Press and “indie” publishers. The popular Interviews at Flames Rising include Horror authors, artists and other creators of dark entertainment. Stay tuned to the Flames Rising news feed for the latest news on upcoming products, genre conventions and industry developments. Flames Rising continues to add new Features and expand the Fiction and Articles sections of the site with topics of interest to Horror and Dark Fantasy fans the world over. Scarred Lands Creature Collection for 5e announced! Rich Thomas of Onyx Path Publishing has announced the Scarred Lands Creature Collection for 5e will be made in collaboration with Handiwork Games! Rich Thomas: “Last year, when we were planning just how to take the efforts that Stewart Wieck had started and run with them, we knew that a new version of the legendary Creature Collection was how we wanted to lead into Onyx Path’s new exciting era of Scarred Lands. Hi all, Matt’s letting me take over the blog today to tell you about my newly released Choice of Games novel 7th Sea: A Pirate’s Pact. I’m Danielle Lauzon, a long-time freelance writer and developer for Onyx Path and a one-time line developer for 7th Sea Second Edition. If you aren’t familiar with 7th Sea, it’s a game set in an alternate world 17th Century Europe (and the rest of the world as well). It’s a game about romance, high adventure, and sorcery in the vein of Errol Flynn movies, Alexandre Dumas books, The Princess Bride, One Thousand and One Nights…I could go on, but I think you get it. And in all this we feature not quite but just reminiscent characters and situation from a recognizable history in a fantastical world. Magic is real, myths are real, and you play Heroes fighting against evil and corruption. They Came From Beneath the Sea! Tabletop RPG Kickstarter launches from Onyx Path! Rich Thomas, founder and creative director of Onyx Path Publishing announced the Kickstarter to fund They Came from Beneath the Sea!, a new B-movie themed tabletop RPG using the Storypath System. They Came From Beneath the Sea! is a new tabletop roleplaying game encompassing the wonder, horror, thrills, and hilarity of 1950s science fiction. This game evokes the feel of playing in a B-movie from decades past, providing a dynamic, fun experience. Valiant Heroes Collectible Card Game App Now Available for iOS! It’s that time of year again… The air’s getting colder, the days are getting shorter, and Valiant Entertainment is gearing up for another jam-packed New York Comic Con, the biggest celebration of pop culture and comics on the East Coast! THE TERROR IS REAL–LY FUN! Endless Games makes nationwide horror news today with the release of its cool new cult classic game, Horror Trivia. Dungeon Mayhem: A Fast-Paced D&D Card Game Coming This November! Wizards of the Coast is ready to throw down with Dungeon Mayhem, an easy-to-learn card game pitting the wits and brawn of a party of adventurers against each other. 2 to 4 players choose one of four decks modeled after characters in Dungeons & Dragons (barbarian, paladin, rogue, or wizard) and sling spells, daggers and, well, MAYHEM at each other until there’s only one left to claim the treasure. Look for Dungeon Mayhem in stores everywhere starting on November 16! At long last, New York Times bestselling author R.A. Salvatore returns with one of fantasy’s most beloved and enduring icons, the dark elf Drizzt Do’Urden, in an all-new trilogy full of swordplay, danger, and imaginative thrills. For any fan of Epic Fantasy or gaming, there are few characters that hold quite as much significance as Drizzt Do’Urden, the iconic dark elf warrior. New York Times bestselling author R.A. Salvatore created the legendary swordsman thirty years ago, spawning novels, video games, and tabletop gaming campaigns – and taking hold of the imaginations of countless fans in the process. 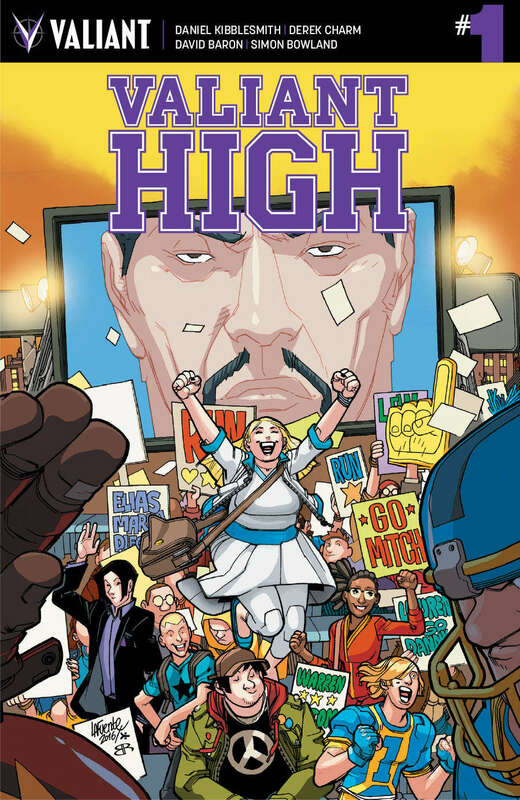 Valiant Entertainment is proud to announce a partnership with KBOOM, a new foreign publishing house that will license and distribute a selection of its critically acclaimed titles in print in the Polish language. 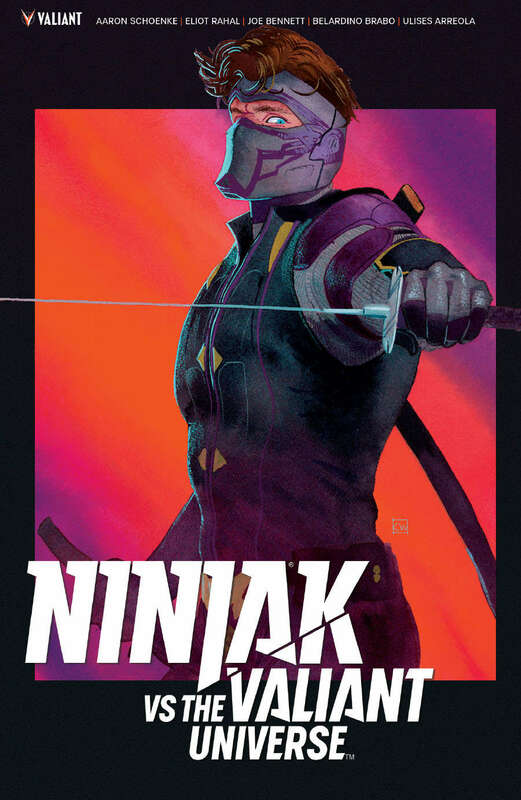 The program will begin with the publication of the Polish-language version of THE VALIANT, which will make its debut at the International Festival of Comics and Games, September 14-16, in ?ód?, Poland. Rich Thomas, founder and creative director of Onyx Path Publishing, in conjunction with Eschaton Media announced the Kickstarter to fund Dystopia Rising: Evolution has launched today. Dystopia Rising: Evolution is based on Eschaton Media’s popular post-zombie apocalypse themed Dystopia Rising live-action scenarios. Wraith: the Oblivion 20th Anniversary Edition is available now from Onyx Path! All the stories they told you about what it would be like after you died? They were wrong. There is no Heaven and there is no Hell. There’s only the Underworld, with the ravening maw of Oblivion at the bottom and the impossible dream of Transcendence at the top. And in between, all the Restless Dead. Wraith: The Oblivion is the Storytelling game of passion and horror. Take the role of a ghost whose unfinished business won’t let them rest. 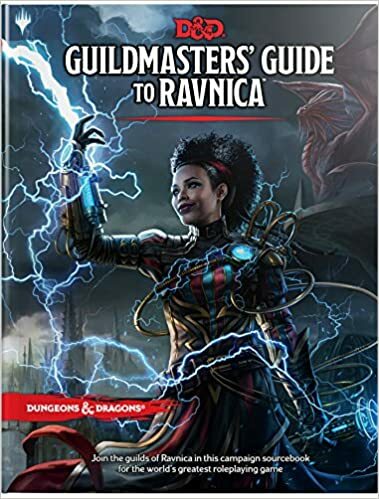 Wizards of the Coast is psyched to announce the first collaboration on a major product between Dungeons & Dragons and Magic: The Gathering with Guildmasters’ Guide to Ravnica releasing everywhere on November 20. The book will contain everything fans need to play D&D in the world-spanning city of Ravnica, the fan-favorite Magic setting populated by ten rival guilds, each with its own ethos and agenda. 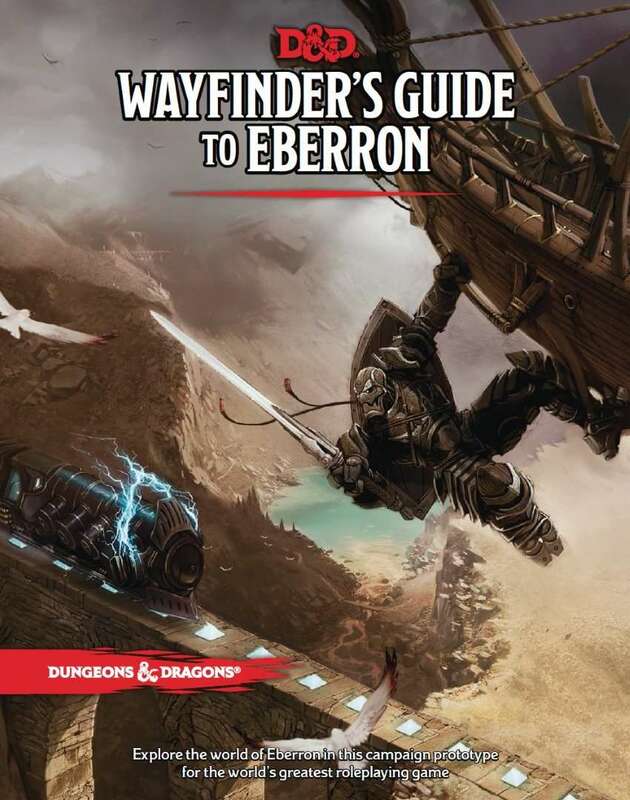 Wizards is also announcing D&D fans can now return to a magic-heavy noir setting with Wayfinder’s Guide to Eberron, a new document written by Keith Baker available online now. The exploration of these settings is a testament to how fan excitement can shape where D&D travels to next. Magic: The Gathering will commemorate its 25th Birthday on August 2-5 in Indianapolis at Gen Con, North America’s largest and longest-running tabletop convention. Making an international splash at Gen Con in 1993, Magic: The Gathering has become a worldwide phenomenon with more than 100 booster releases, printings in eleven languages, and more than 20,000 unique cards. At Gen Con 2018, Magic will give back to the gaming community with a host of planned events, tournaments, and surprises. Today, Perfect World Entertainment Inc., a leading publisher of free-to-play MMORPGs, and Cryptic Studios announced Neverwinter: Ravenloft is now available on PC and arrives later on Xbox One and PlayStation®4. In the 14th module for the free-to-play MMORPG set in the Forgotten Realms (and beyond), adventurers are called to Barovia, where they face Strahd’s cursed land and all of its horrors. This departure from the Sword Coast brings gameplay features unique to Ravenloft such as a meaningful day-to-night cycle, Tarokka Card collections and readings, an Endgame Dungeon in Castle Ravenloft and much more.